Nearly eight decades later, Statman and Pablo Medina, associate professors of writing at The New School, have put together Poet in New York, a new translation of one of Lorca’s most important works. 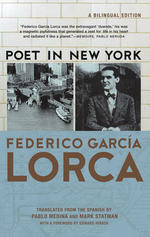 The book is a series of poems inspired by observations during Lorca’s nine-month period as a Columbia student. It is a collection of poems that could be read as an epic — a textual map that could be seen as a chart of personal growth for the poet himself. Lorca’s book opens with the section “Poems of Solitude at Columbia University,” starting in the city where “a butterfly is drowned in an inkwell” and ending with the poet’s departure to Havana. It is as though the journey to New York teaches the poet to be more at peace with his soul, says Statman, “more consonant, more able to be a Poet with a big P as opposed to a poet with a little p.” After departing from the city, Lorca wrote, “I have said poet in New York, and I should have said, ‘New York in a poet,’ ” as though he has internalized the city itself. Statman, a published poet, was introduced to Lorca’s work while a student in the College by the late Kenneth Koch, Columbia’s legendary poet and professor of English (and later Statman’s father-in-law). 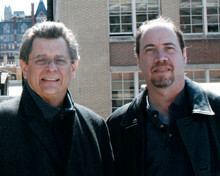 Although he was officially a religion major, Statman developed an interest in poetry and literature by taking courses at Columbia with Koch and former Professor of English David Shapiro ’68. in the heart of many girls. through the numbers in the offices. What can I do, bring order to the landscapes? Maryam Parhizkar ’09 is majoring in English and frequently contributes to CCT.